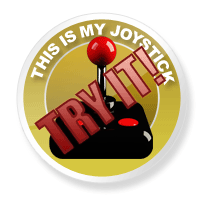 Castlevania: Lords of Shadow 2 Review - This Is My Joystick! 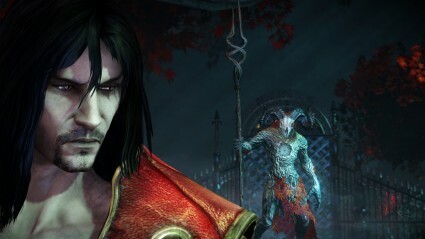 When offered the opportunity to review the sequel to Castlevania: Lords of Shadow, I jumped at the chance. The original was a beautiful, gothic action adventure that perhaps came as something of a surprise to many, certainly exceeding my expectations with a rich story, gorgeous, awe-inspiring scenery, and a cast straight out of a blockbuster film. The ending in particular was astounding and left me eagerly awaiting the next chapter. Given the success of the first though, expectations were sky high, and unfortunately Lords of Shadow 2 has, to a fair extent, brought them crashing back down to earth. So where did it go wrong? Right from the start I found myself questioning a few of the decisions made by the developers MercurySteam. 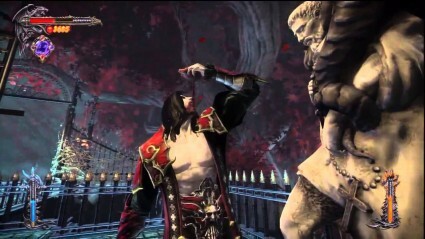 Initially, you start as Dracula at the height of his powers and defending an attack on his castle. Given that the first game ends in the present, that confused me somewhat but if nothing else it serves as an introduction into how to play. Then once you’ve completed that scene, it sets up a return to the present and the start proper. Straight away, you’re hit with a moment that’s at best questionable, at worst fairly controversial, being required to kill a family (complete with child) to restore your withered body to its former glory. Now, while I have to say I don’t understand some commentators saying there was a sexual undertone to this (I personally didn’t feel there was at all), it’s a tasteless start. It almost feels like it’s just in there as a talking point. Ironically, there’s a fight in the game later, against a recurring character, which certainly does have a sexual undercurrent and finishes in a rather overt and again slightly tasteless fashion. 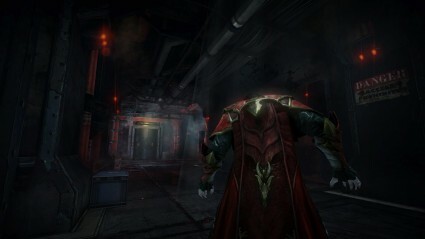 Leaving controversy to one side, since really despite what I say above neither moment is going to cause all that many Daily Mail readers to lose sleep, once Dracula has his strength again we’re back in action adventure mode in a similar manner to the original Lords of Shadow, but with a few important changes. The first major change is that the camera has been freed up and mapped to the right analogue stick. The fixed camera was one of the few things I didn’t particularly like about the first game, so for me this was a big deal and it’s been implemented well too. The free camera is more of a requirement here though as Lords of Shadow 2 is not a linear journey, instead playing out in a semi-open world environment. On paper, this is a great idea as it should allow a 3D Castlevania in the style of the 2D games, where new skills open up more game world. This does happen, but unfortunately due to the nature of the environments you’re playing in, it’s too difficult to remember where out of reach areas were to go back to them and pick up any collectables you’ve missed. Given how the game pans out, I must admit I couldn’t really be bothered to go back either as it seemed like too much of a chore. Speaking of the environment, this is quite a disappointment after the beauty of the original. There’s nothing wrong with it per se, but largely there’s a lack of imagination. Here’s a hospital, an office building, etc. We’ve seen these before plenty of times before and they just seem so generic after the gothic majesty of the settings seen before. This isn’t true of every setting; a snowy scene outside the castle in particular is affecting, but most are easily forgettable. Perhaps this is a reflection on modern architecture but I don’t play games to reflect on how much more intricate older buildings are, so that doesn’t really wash.
Then we get to the gameplay itself. The fighting is rock solid, varied, and greatly enjoyable. You have the standard whip and a sword which allows you to restore health as you attack, and a pair of flaming gauntlets to mix things up. There’s progression available for all three weapons, with new moves being unlocked, which you can also master to make the weapon more powerful. Dodging and parrying are intuitive, and although some enemies can be irritating (especially some with guns), I have no qualms in saying that I felt that this is one area that’s better than the very similar God of War: Ascension. There is a rich variety when it comes to boss battles as well, usually requiring a bit of thought in order to defeat them. None are punishingly hard, although it took me a few attempts to work out how to best a couple of them. The section with the Toymaker in particular is a real highlight, although sadly it’s over quite quickly. If the platforming is only okay, then the stealth sections are practically awful. Most of these involve sneaking your way past some brutish guards with grenade launchers that will finish you off in moments if you’re seen. These sections are, in the main, just about acceptable despite my wondering why these guys can kill you easily yet you can fight and survive against much greater enemies. It’s usually quite clear what you need to do to progress but there’s no room for imagination here; there only seems to ever be one way to get through, which is a shame given the tools at your disposal, and this also means there’s little margin for error. There are a couple of moments where you have to sneak around a level avoiding an enemy, who will send you back to the start of the level if they catch you. The first one of these wasn’t too tricky, but the second, set in a garden with noisy leaves scattering the floor, is one of the worst pieces of gameplay I’ve had the displeasure of experiencing in some time. It’s too hard to get through without making any sound. To avoid leaves you have to shimmy around ledges, but the controls for getting down from a ledge in particular just don’t seem responsive enough. Simply put, the game mechanics aren’t a match for the difficulty spike here. There are bells you can fire daggers at to distract the enemy, but they’re too widely dispersed. In the end, I had to keep doing this section until I found a way to do it perfectly, which was hugely annoying. What makes this section even worse is that once you’ve finished it, you’re instantly thrown into a boss fight against the very enemy you’ve just been hiding from. If you’re strong enough to fight him anyway, why were you hiding?! I mentioned some confusion at the start of the review as to the story. Unfortunately this is also a thread that doesn’t entirely go away. There’s a lot here that relates to the 3DS game Mirror of Fate, which I haven’t played (although it is now out in HD on PS3 and 360, review here if you’re interested), and while you do get some back story, the tale in Lords of Shadow 2 is convoluted. It also seems to be padded out with strands that don’t really add much, in particular a section where you search for pieces of the Mirror of Fate. As a whole it’s not a particularly strong story after what’s gone before, and even the ending is quite low key. There’s also some mixed mythology, with characters from Greek mythology making an appearance. In a story with its roots in Christianity that seems a little odd; even more so as the characters in question are re-imagined as young girls channelling The Exorcist by way of The Ring’s TV-exiting jump cuts. Sadly, despite the stellar cast returning, they don’t really seem all that invested in the story either. This is particularly the case with Robert Carlyle, who sounds like he’s either bored or sleep deprived through a lot of the story. Patrick Stewart makes a decent fist of it, but for me he just never seemed quite right for Zobek. Perhaps I’ve just seen him as one too many iconic characters. Nothing would have made me happier than to report this was a massive success in every way, but that just isn’t the case. It’s great to have the free camera, and the fighting is brilliant fun for the most part, but the rest of the game just doesn’t back this up. 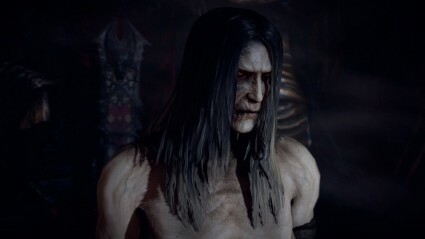 There’s still enough here to make it worth giving the game a go, but be prepared that parts of Castlevania Lords of Shadow 2 have to be endured rather than enjoyed.